You are here: Home / Prose Magazine ahoy! / News / Prose Magazine ahoy! 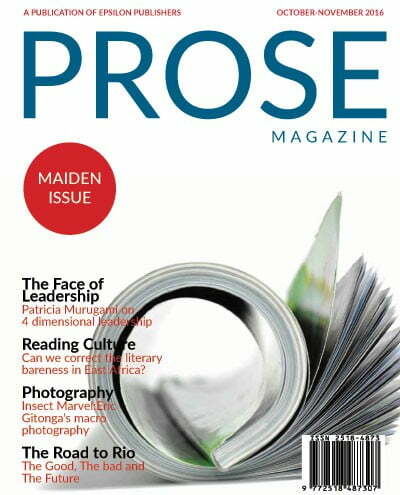 The maiden issue of our in-house magazine, Prose, is now online. Prose is a bi-monthly publication that delves into industry trends and offers insights on publishing. The magazine picks on the brains of industry leaders- their perceptions, intuitions, expertise, experience – at whatever level of achievement or career progression and champions them as role models worthy of emulation. The magazine is all inclusive as the thought-provoking articles are interspersed with interesting literary pieces and a fun page.